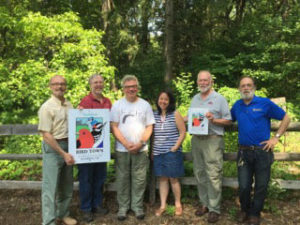 The Wyncote Audubon Society was recently awarded a grant from the National Audubon Society to work on a project in the “Pennypack Important Bird Area.” Pictured above is the Pennypack IBA Stewardship Team that includes (from left to right) Dave Robertson, Executive Director of the Pennypack Ecological Restoration Trust; Scott Morgan, Superintendent of Lorimer Park; Leigh Altadonna, President of the Wyncote Audubon Society; Connie Sanchez, Director of the Audubon Important Bird Areas Program; Peter Burns, Vice President of the Wyncote Audubon Society; and Peter Kurtz, Director of the the Pennypack Environmental Education Center in Fairmount Park. 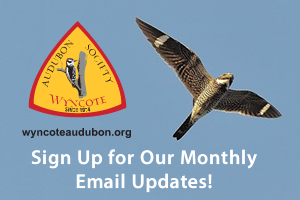 Leigh Altadonna notes that the project will employ the Important Bird Area provides a center piece for our chapter’s efforts to integrate: bird monitoring; engagement of individuals, families and communities in Bird Friendly Communities outreach; education of young people in our Audubon Adventures Clubs with IBA visits, and teaching others about the importance of birds through a program of field trips to the IBA. Considering impacts of climate change on birds and habitats, IBAs are the critical places to focus our conservation, outreach, and monitoring efforts. 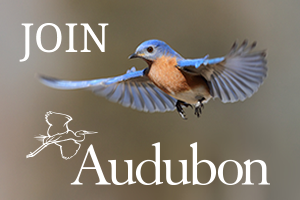 All of these contribute to our goal for individuals to take action to protect birds.